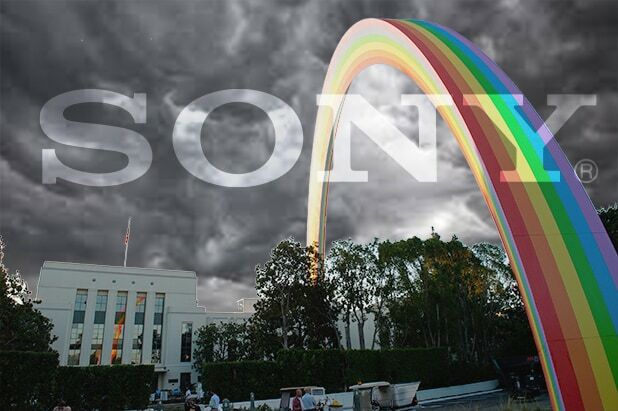 Sixteen months after a catastrophic cyber attack at Sony Entertainment, the company is facing what insiders describe as a “leadership vacuum,” with key departures affecting morale and financial pressure to improve performance stoking anxiety within the studio. Tension is high in the motion picture group, where a weak slate has produced one box office disappointment after another, including the upcoming “The Brothers Grimsby,” which is tracking poorly. The music department faces the PR debacle of Kesha’s lawsuit against her Sony-based producer Dr. Luke and a pending decision on whether to buy or sell a storied music catalog co-owned by the Michael Jackson estate. Meanwhile, there is a widespread perception that CEO Michael Lynton has been absent in recent months, according to multiple insiders, feeding an internal sense of aimlessness exacerbated by the February resignation of the much-respected Nicole Seligman, president of both Sony Entertainment and Sony Corp. of America. Still, the departure of Seligman was a real loss, acknowledged by Sony CEO Kazuo Hirai and Lynton as “an integral – and indispensable – part of many big decisions and developments throughout Sony’s global organization” when they announced she would leave at the end of this month. Lynton is perceived as too-often absent from both Sony’s offices in Culver City, California, and New York, where he moved last year, according to two senior individuals at the company. Lynton splits his time between the two offices, but is based in New York, where the company just moved from its longtime Philip Johnson-designed headquarters in midtown Manhattan to smaller downtown offices. Individuals close to Lynton insist that he is engaged and focused on his job since extending his contract in February 2015. 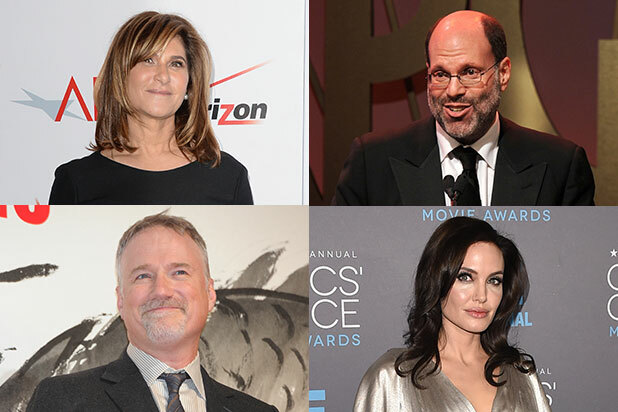 Still, even senior executives acknowledge that Sony’s Motion Picture Chairman Tom Rothman, who took over for studio chief Amy Pascal after the hack, is suffering too-few box office wins and a lagging slate. Rothman is said to have been surprised by the scope of the challenge facing him. “He didn’t anticipate the hole would be as deep as it is. It’s film after film,” one top-level individual said of Rothman, whose initial movie choices as head of Sony’s TriStar division have not dazzled — like the Robert Zemeckis high-wire thriller “The Walk,” which was budgeted at $35 million before P&A and only earned $10 million at the domestic box office. One telling sign of the pressure to grow the film division: Rothman has pressed veteran Sony Pictures Classics co-presidents Tom Bernard and Michael Barker to double their output and their revenue, according to two individuals with knowledge of the conversations. They told him no, they could not. Barker and Bernard, who report to Lynton not Rothman, have successfully run the indie division for 25 years, and last year generated $62 million off of 17 new releases. Adding insult to injury for Rothman in his release slate are Pascal legacies like “Pride and Prejudice and Zombies,” which cost $28 million but has grossed just under $11 million in the U.S., and “The 5th Wave,” a Chloe Grace Moretz dystopian thriller budgeted at $38 million that only recouped $33 million in North America (the film traveled much better, earning $70 million internationally). The immediate future isn’t much brighter, as Sacha Baron Cohen‘s “The Brothers Grimsby,” a Sony action-comedy with major stunts and an undisclosed budget, lands on March 11. The film has been panned by critics and is tracking around $12 million for opening weekend, according to BoxOffice.com. 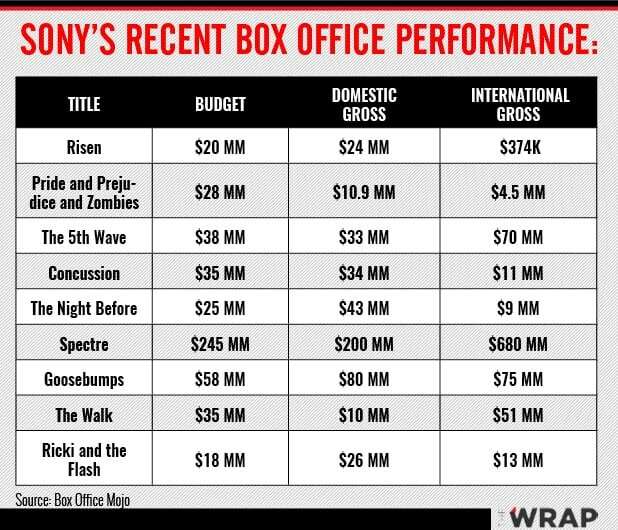 During Rothman’s first year in power, 2015, Sony Pictures accounted for only 8.4 percent of overall North American box office, besting only Warner Bros. among major players like Universal, Paramount and Fox, according to Box Office Mojo. 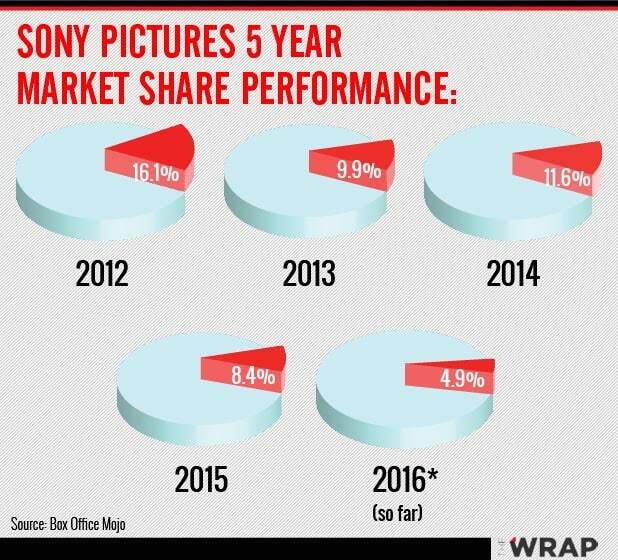 Only three years prior, Sony had 16.1 percent of the market, placing them in first. Rothman has been digging deep into Sony’s intellectual property to strengthen the studio in the long term, another insider said, resurfacing franchises like Will Smith‘s “Bad Boys,” scoring international distribution rights to Ridley Scott‘s upcoming “Blade Runner” sequel, developing Stephen King‘s “Dark Tower” book series and developing a crossover film combining its “Men in Black” and “Jump Street” action-comedy franchises. There is also hope in the 2016 slate. Paul Feig‘s all-female reboot of the “Ghostbusters” franchise starring Kristen Wiig and Melissa McCarthy has significant groundswell of fan interest ahead of its July 15 release. Rothman has also been stung by the recent success of “Deadpool” at Fox, a studio he headed before joining Sony in 2013. He was called out publicly for opposing the film, which was greenlit by his successors and became an unexpected superhero hit, grossing nearly $620 million worldwide. “Tom Rothman single handedly kept ‘Deadpool’ from getting made at Fox. Not a fan,” wrote the character’s comic book creator Robert Liefeld on Twitter. Tim Miller, the director of “Deadpool,” told Entertainment Weekly that Rothman simply said “no” to the conceit. Sony Television is the one division that doesn’t seem to be facing crisis, but its chief Steve Mosko’s contract is up at the end of the year. The hard-charging executive is not considered to be in Lynton’s inner circle, which may be contributing to the dearth of a sense of shared mission among top executives. Upheaval at Sony Music Entertainment has also been on Lynton’s plate. The division, run by CEO Doug Morris, has been thrust into the spotlight in recent weeks thanks to a nasty court battle between singer Kesha and her former mentor and producer Lukasz “Dr. Luke” Gottwald. The pop star is seeking to void her recording contract with Sony, and has cited harrowing claims of decade-long sexual and psychological abuse at Gottwald’s hands. She currently owes the label six full albums. A New York Supreme Court Judge has so far sided with Sony in the contract dispute given the lack of evidence to support the abuse allegations, Gottwald’s vehement denial of the abuse and the fact that the singer could work with other producers to fulfill her album commitments. According to another insider, Lynton has also been tasked with another tricky issue for Sony Music: determining how to exercise the buy/sell option for the company’s stake in Sony/ATV Music Publishing, a music library it co-owns with the Michael Jackson estate. 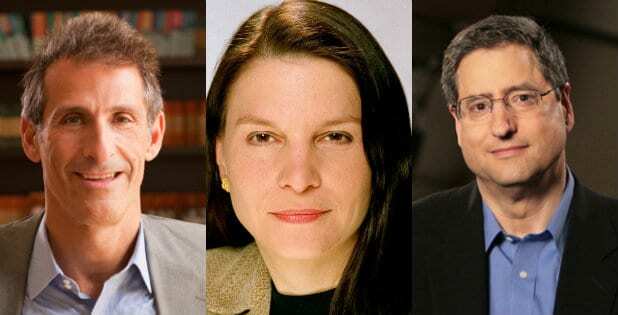 For months, Lynton and lawyers have been parsing the long-term value of such a library in today’s digital streaming culture, with opinions varying widely among experts.